Taking perfect pictures is no easy feat. Modern cameras, while extremely powerful, can require an extraordinary amount of fiddling before you find the right combination for a pristine photo. The Lytro camera changes that by allowing you to snap photos in the moment, and then pick the perfect focus later. The Lytro uses a technology that captures the entire field of light in any given scene, rather than simply focusing on a single spot. This allows it to capture what its creators call "living pictures" that can be explored long after the shutter closes. When a photo is taken with the Lytro, the user can upload the picture file to a Mac equipped with the included Lytro imaging software. The company notes that a Windows version is currently in development and will hopefully be released in the near future. From there, the focal point of the photo can be altered to whatever spot you desire, ensuring that unintentionally blurry subjects are a thing of the past. The photos themselves are HD-quality and up to 350 can be stored on the built-in 8GB memory drive of the base model camera. You can pre-order the 8GB Lytro right now for $399, or a 16GB for $499. While those prices may seem a good distance from the bargain bin, keep in mind that up until now, cameras with similar capabilities carried price tags of $30,000 and higher. 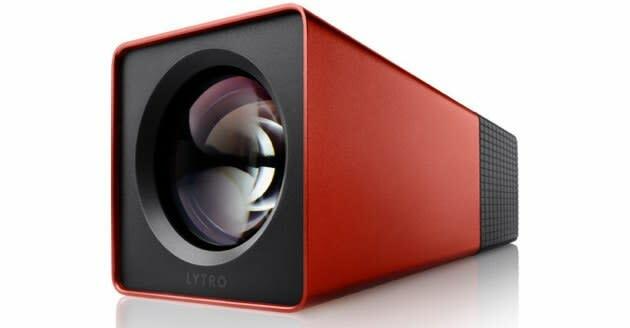 The Lytro will begin shipping in early 2012. Below is an example of what the Lytro is capable of. The photo is interactive, and the focal point of the shot is automatically changed to wherever you click. Try clicking on the butterfly in the foreground, then the flowers in the middle of the picture, and then finally the trees in the background to see how the photo can be altered. Check out a plethora of additional Lytro snapshots in our gallery.